Please go to our SUBMIT page and add your blog for consideration. 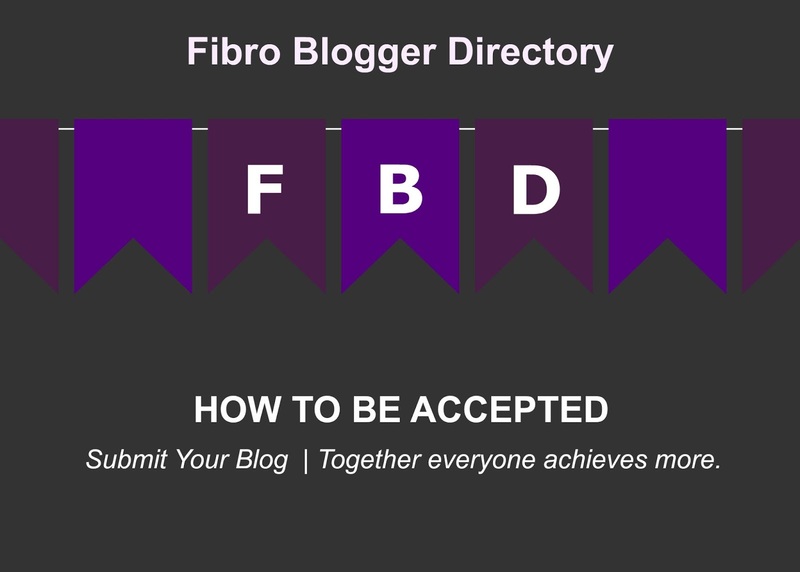 We will have a look at your blog and put it in the Fibro Bloggers Directory. We have a set of guidelines to review before your blog is placed into the Directory. If you are on facebook please follow us there. If you are on twitter please follow us there. If you are on tumblr you can follow us there. healing hugs to you all! I look forward to ready everyone's blogs. http://crazyfibrolady.blogspot.com/ is mine that I recently started. Mainly rambling but hopefully not all of the time! This blog is a blog from my perspective as well as post from my husbnad and even a child or two on what its like to live with the invivible disease. my blog is Desire to Heal at http://www.desiretoheal.com. ...self empowered healing of body, mind and spirit. Thank you! Probably best to go to the latest post, the most recent one, and leave your details there. My blog is CallahanWriter.com. I have started a thread about Fibromyalgia Fibro - Awareness. It is not the dominate theme of my blog but have only started blogging about fibro since September 2014. I usually put out two sometimes three fibro posts a week. I have about 21 fibro posts so far. 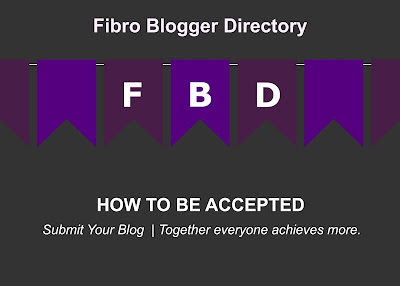 Since I started blogging about fibro I compiled a large lists of fibro topics to write about. My unique perspective about fibro is I am a man who has had fibro for 31 years. I have seen a great deal in the world of fibro. I find writing about it to be therapeutic. My blog is CallahanWriter.com. It has a thread for Fibromyalgia Fibro - Awareness. My blog is about five or six years old but I have been blogging on fibro since Sept 2014. I posted over twenty posts since thin. How come my comments are being posted? I submitted my blog - http://www.blog.myfibro.co.uk/ a week or so ago and wondered if you'd had chance to consider it yet? Thanks. I just started my blog on Faith & Fibromyalgia this week. I went live with my website and first post yesterday. I would love some new readers and initial opinions as I've never written a blog before. Visit me at www.butterfliesbeautyandblossoms.com and let me know what you think. I've also submitted my site to the directory for consideration and posted the badge on my website. Thanks!